Tonight’s Bedtime Story has a good story of its own behind it, and we have to thank one of our readers for drawing our attention to it. Here’s the gist of this fascinating tale. In 1870, Kentucky-born George G. Vest was a lawyer in Missouri when he was hired by a farmer named Charles Burden. 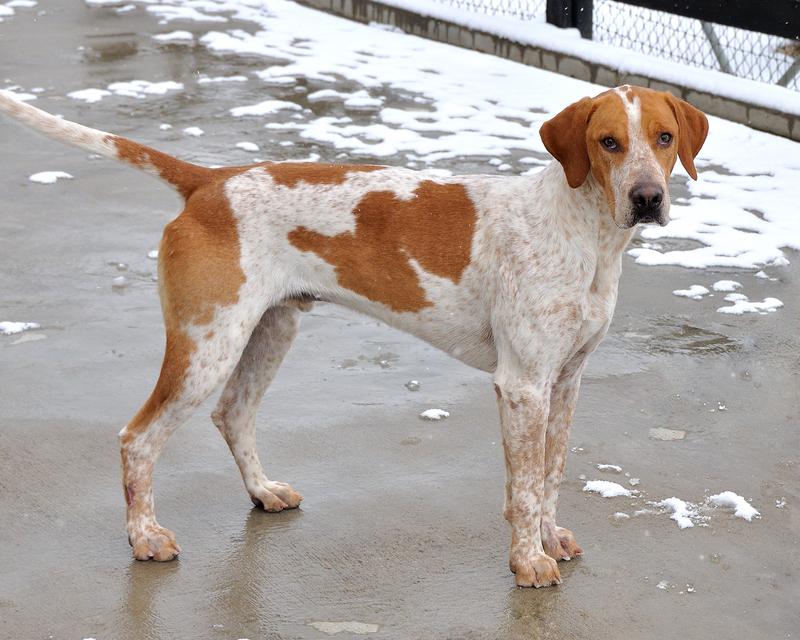 It was an unusual case, and one that will resonate with hound-lovers everywhere. 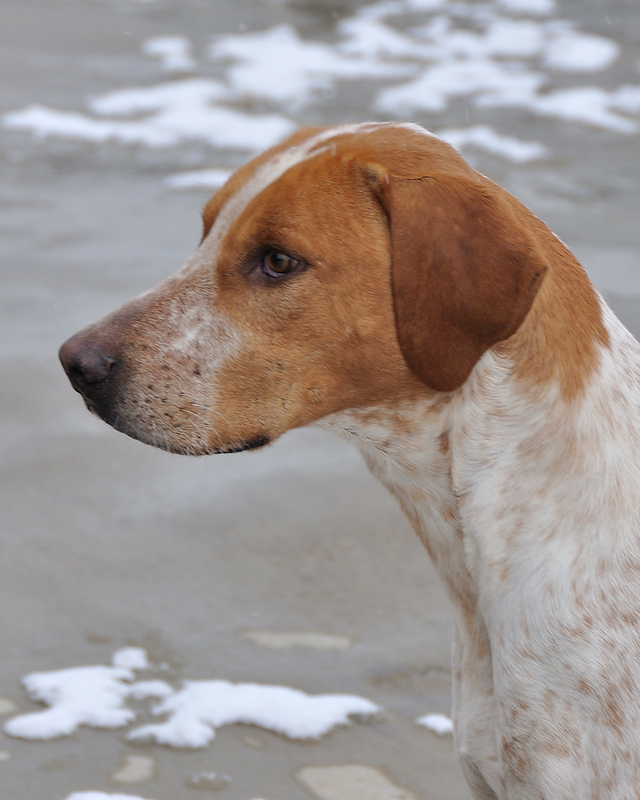 Burden was suing his neighbor (who also was, as it happened, his brother-in-law) over the death of Burden’s best foxhound, Old Drum, who had been found shot multiple times along the bank of Big Creek. Burden’s suspicion fell on his brother-in-law, Leonidas Hornsby, because Hornsby, a sheep farmer who had been plagued with heavy losses from marauding dogs and wolves, had been heard to say he would shoot the first stray dog he saw on his property. Burden also had heard gunfire, followed by the wailing of a dog, from the vicinity of Hornsby’s farm on the night Old Drum had gone missing. The case took a number of twists and turns, and after a series of appeals and legal maneuvers, it finally landed in George Vest’s office. On September 23, 1870, in the Old Johnson County Courthouse in Warrensburg, Missouri, Vest presented his closing argument on Burden’s behalf, and, really, on Old Drum’s behalf as well. His remarks quickly became famous and were widely distributed among dog-lovers as “Eulogy of the Dog,” and we bring it to you tonight, in full, in honor of all dogs, particularly those who are abused, neglected, in need, or killed for whatever reason, even, as sometimes happens, for the crime of being the wrong color. For the record, Burden won that round of the litigation: the jury returned a verdict in his favor and awarded him the maximum $50. The case continued on appeal, but in the end Burden prevailed. Vest went on to be a U.S. Senator, serving from 1879 to 1903. “Gentlemen of the jury, the best friend a man has in the world may turn against him and become his enemy. His son or daughter whom he has reared with loving care may prove ungrateful. Those who are nearest and dearest to us, those whom we trust with our happiness and our good name, may become traitors to their faith. The money that a man has he may lose. It flies away from him perhaps when he needs it most. A man’s reputation may be sacrificed in a moment of ill-considered action. The people who are prone to fall on their knees to do us honor when success is with us may be the first to throw the stone of malice when failure settles its cloud upon our heads. The one absolutely unselfish friend that a man can have in this selfish world, the one that never deserts him, the one that never proves ungrateful or treacherous, is the dog. 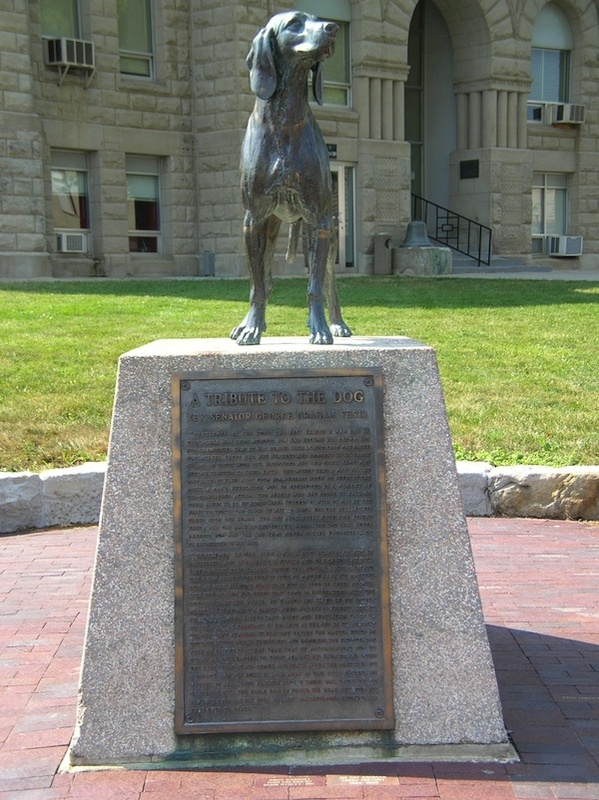 Vest's "Eulogy of a Dog" is reprinted in full on a statue outside the courthouse in Johnson County, Missouri. 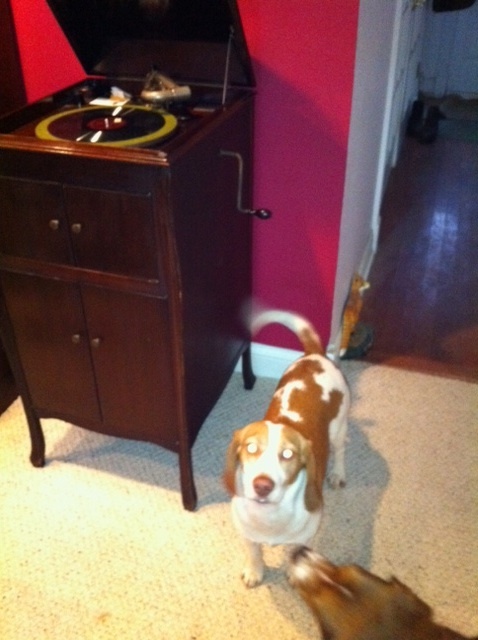 That's Old Drum the foxhound in the place of honor, right where he belongs. “Gentlemen of the jury, a man’s dog stands by him in prosperity and in poverty, in health and in sickness. He will sleep on the cold ground when the wintry winds blow and the snow drives fiercely, if only he can be near his master’s side. He will kiss the hand that has no food to offer, he will lick the wounds and sores that come in encounter with the roughness of the world. He guards the sleep of his pauper master as if he were a prince. Cottesmore puppy walker Nina Camm with Samson and friends. Believe it or not, Samson is the light-colored hound in her lap. There's no sign of that red color that's so easy for us to spot now! 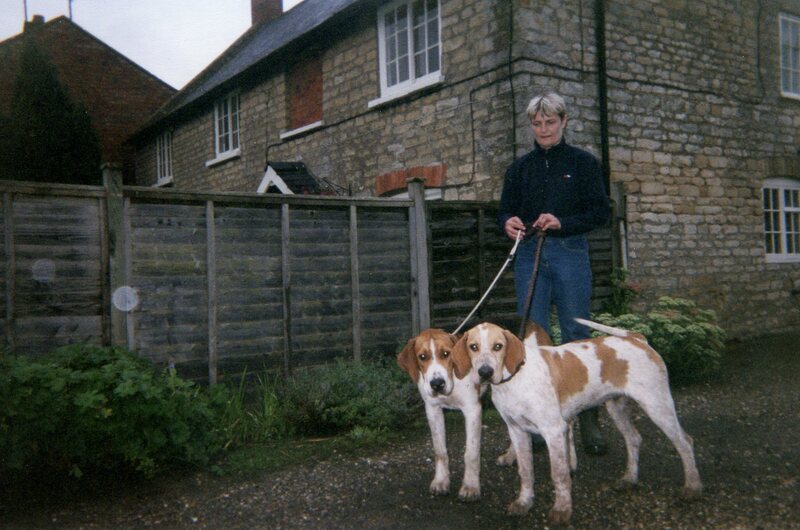 LAST year, after we wrote about Samson’s trip to the United States, we got an e-mail from Nina Camm, the woman who was Samson’s puppy-walker in England. She explained that she had always loved Samson and was happy to keep up with his adventures since his departure from the nearby Cottesmore pack. We were delighted to hear from someone who knew Samson “back in the day,” and we asked her if she’d mind sending some baby pictures and any recollections she had. They finally arrived this week, and we are happy to be able to share them. According to Nina, Samson was born on February 20, 2007, and came to her from Cottesmore huntsman Neil Coleman’s kennel and April 8 of that year. The thing you’ll notice right off the bat is how much Samson’s color has changed. He was a towheaded youngster, but he’s a redhead now–one of the things that makes him easy to spot on the hunt field. In fact, in his baby picture Samson looks uncannily like our own Mr. Box–maybe this is as a result of hanging around with all those beagles? He grew out of that pale coat color, though. Nina also sent along a sort of high-school-age picture of Samson and pal Bellman, which shows Samson’s coat beginning to darken. “This is when Bellman and Samson had become accustomed to collars and would go off walking around the village with me,” Nina writes. 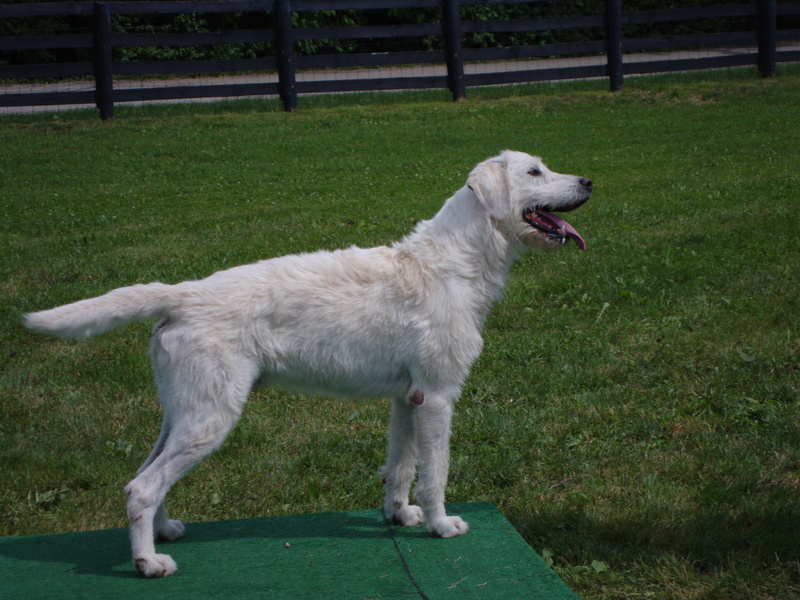 Here is Samson today, so you can see how much his coat color has changed. Samson, as photographed by Dave Traxler in December 2010. Nina shouldn’t worry about that. Since arriving in the U.S., Samson has been a real asset to the Iroquois pack. 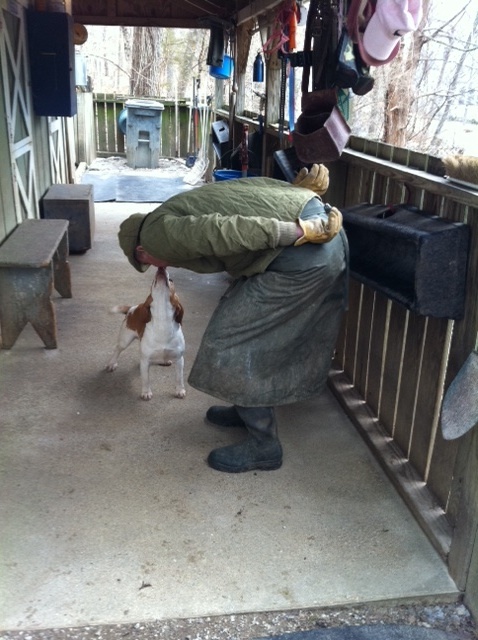 Kennel manager Michael Edwards reports that Samson is outgoing and friendly to the people who work with him now, and Iroquois huntsman Lilla Mason has been tremendously pleased with the red-and-white hound. 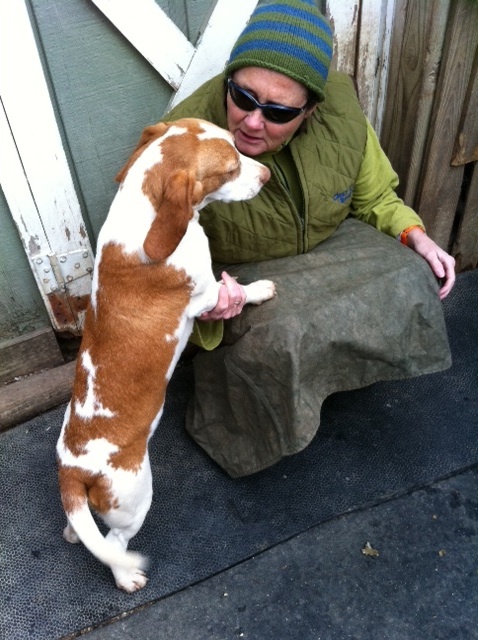 “He’s such a hard-working hound, and he’s invaluable,” Lilla said. “He always has his nose down. 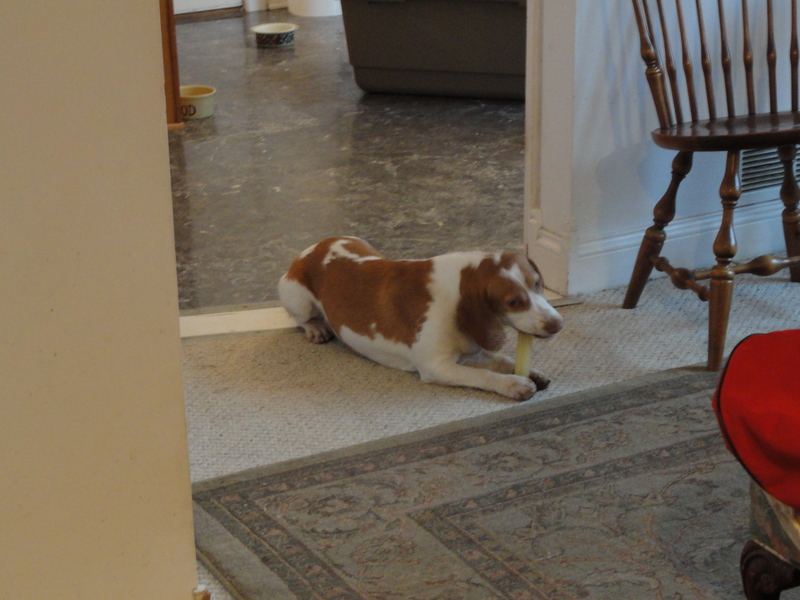 He’s quick to straighten out a line, and when they make a lose he’s often the hardest-working hound. 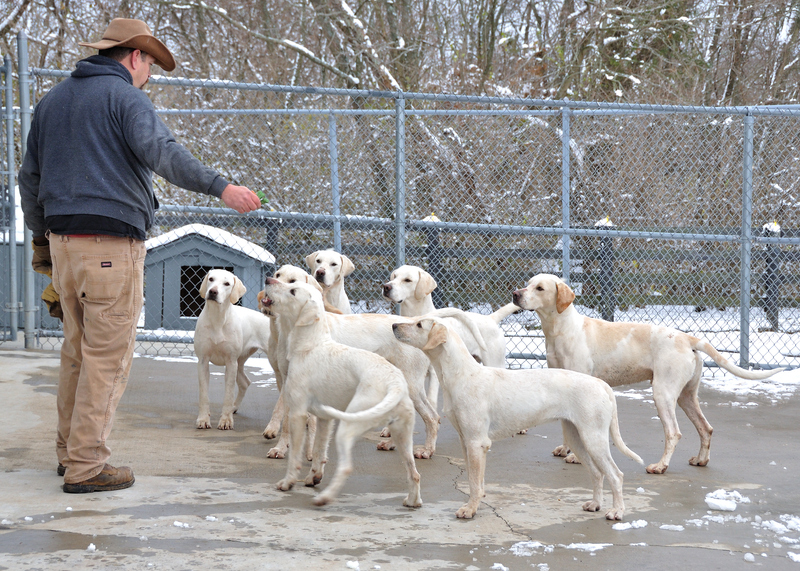 He’s a leader to the puppies, for sure, because when he’s working hard they emulate that. He’s a top-notch hound. Samson in profile. Dave Traxler photo. “It’s quite a bit different hunting coyotes than hunting foxes, and you wonder how hounds will do when they come here and the quarry switches. To come to a different country where the smells are different, and where we have raccoons and skunks and different animals and trees and grass, I think it can take them time. Jerry was very complimentary of Samson when he hunted him last year, and this year I’ve really clicked with him. He loves hunting coyotes. “We’re considering using him as a stallion hound, which is a compliment in our pack, because we only breed one litter a year. 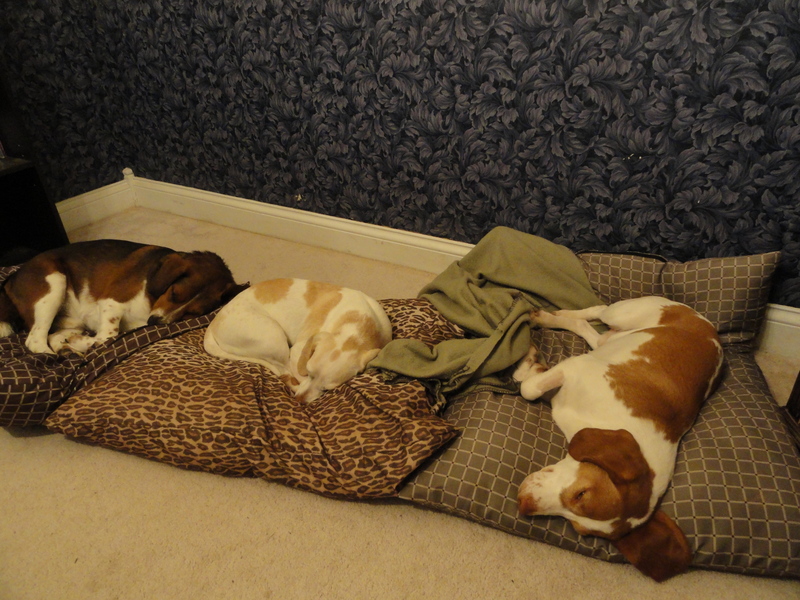 "This is MY house, and you are under my command," explained Harry when hound puppies came to visit. "Here, you must swear an oath of loyalty to me and pay me tributes in many delicious biscuits." It turns out there are limits to Harry's authority, after all. 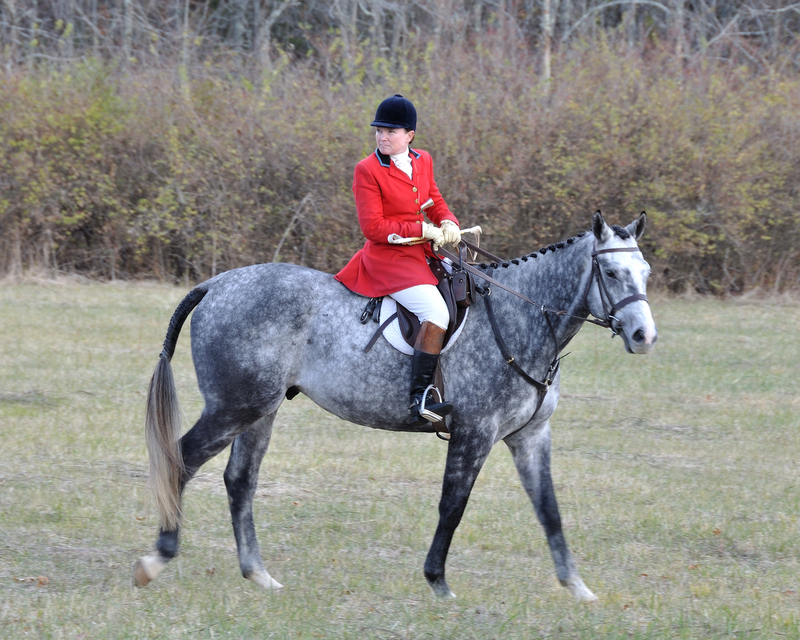 THE weather has played havoc with the season, but on one of the better days when it was safe for hounds and riders to take to the hunt field, one of our favorite hounds was the hero. It was New Year’s Eve, and the hounds hadn’t had a good gallop over the hunt country in two weeks (weather, weather, weather, more weather again …). After the long period of freezing temperatures, the temperature climbed to about 45 degrees on a windy New Year’s Eve. 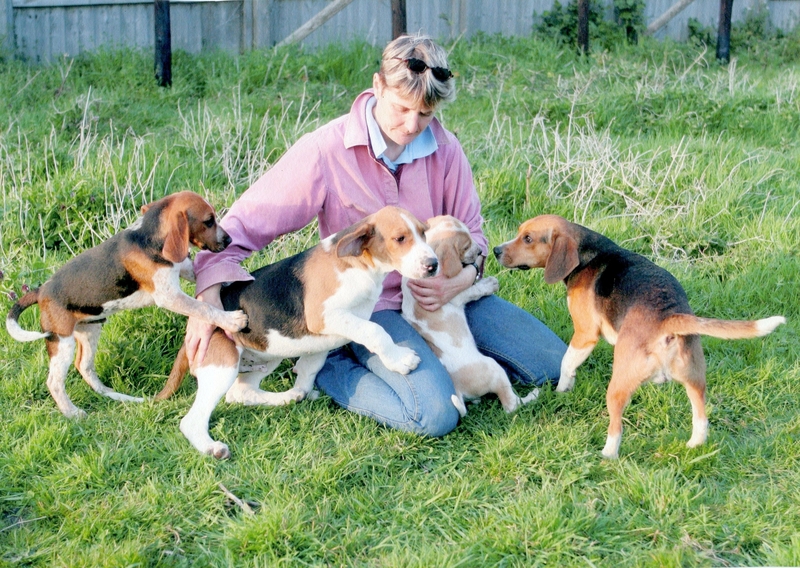 “You’d expect them to be obviously anxious to get out and a little bit hard to handle at first,” Iorquois huntsman Lilla Mason said of the hounds. “It’s not unusual when they’ve had that much time off. But what you don’t want is for them to just run through the first few coverts with their heads up. I had a feeling it was going to be a marginal scenting day, although I never really know for sure about that until the hounds let me know. Iroquois huntsman Lilla S. Mason. Photo by Dave Traxler. “The first covert we drew, I tried to move really slowly, because the slower I go, the slower they’re going to have to go. I wanted them to empty and settle down and start putting their noses down and focusing. They were surprisingly good. This litter of puppies is just so mature for their age. “It was kind of weird, because, even though it was windy, in a way it was still: there weren’t any birds, we didn’t see any rabbits, nature was still. The wind was going to be a factor, because it makes it hard to hear the hounds. “I drew the Silo Pond Covert, and then I went and drew the Cabin Covert, which I never do in that sequence, because that puts me going back west toward an road that’s the border of our hunt country,” Lilla continued. “But this pack is so easy to handle that I went ahead and did it. I put them in at the west end of the Cabin Covert and then asked them to come out the south end. They could have just kept going on west, on down the covert to the road, but they did just exactly what I asked. They’re such a good team together. Baffle's first litter for Iroquois, the puppies now in their first year with the working pack, learned a valuable lesson about geese. Photo by Dave Traxler. The chase was on. The hounds headed due east, with their huntsman galloping just behind. “But straight east there was a pond with a gaggle of of geese,” said Lilla. “And if there was one, there were 500 geese. I’ve never seen so many. All at once, they took flight, and they sounded just like a pack of hounds. The puppies ran straight to the sound; it sounded like a pack of hounds from God! 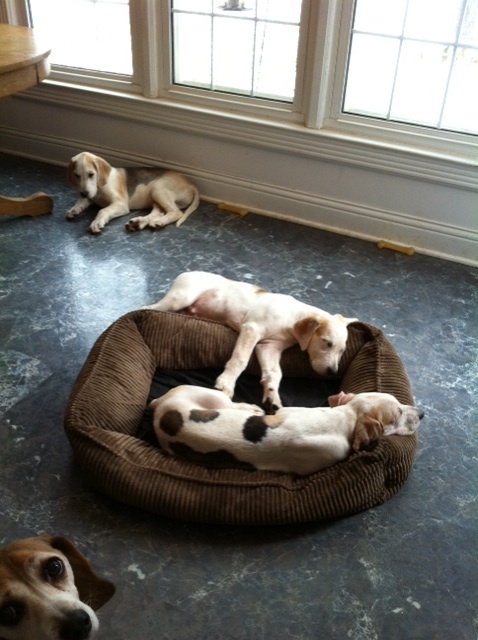 The puppies must have thought they were going to hark to the biggest cry they’d ever heard. It was funny, because they ran right out of the covert and then on to the pond, and then you could see them realize pretty quickly they’d made a mistake. 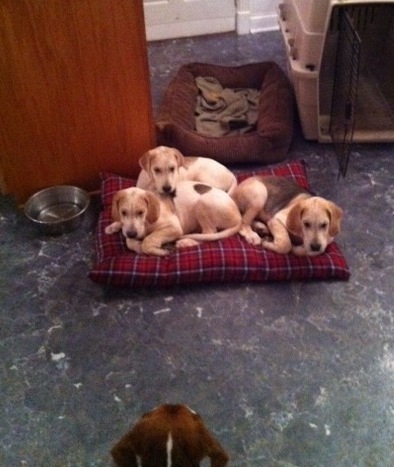 They looked so disappointed, like, ‘Aaaw, darn.’ But when puppies get caught like that, it’s part of their learning. The gray fox can climb trees--a feat that probably will amaze the young hounds! Photo by Steve Wayne Rotsch/Painet Inc.
After that brief rest, it was on to Murphy’s Covert, where hounds spoke again. Lilla rode to the north side of the covert in time to see Sassoon and Payton pop out, noses to the ground. Lilla waited. Sure enough, out came Sassoon and Payton again. This time, Sassoon took the line a little farther north before circling around and returning to Murphy’s covert once again, speaking a little from inside the covert. The Iroquois hounds earlier this season. 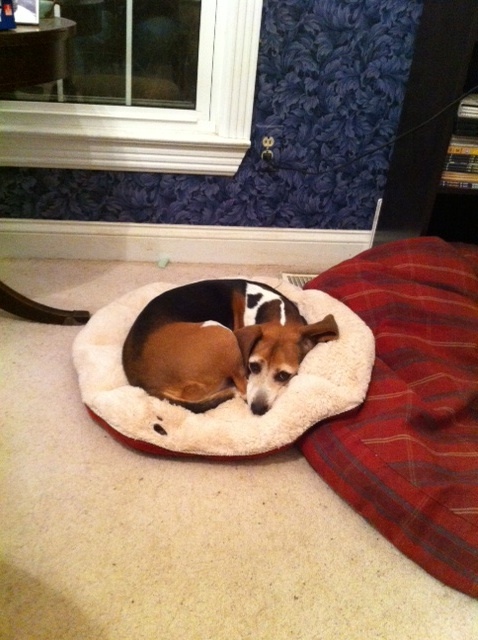 “This went on a little while, and it was just beautiful hound work,” Lilla recalled. “You could tell they kept losing that line to the north, and they kept going back into the covert and speaking. You just never know if a coyote is concealed in there or what. You just have to let the hounds work it out. But to see the leadership of Sassoon. It was so clear. He just took charge: ‘The line’s fine here, here, here—no, not here. Gotta go back and try again.’ He kept coming out of the covert at the same place. They’d come tumbling back out of the covert and make a big cast with Sassoon in the lead, then go tumbling back into the covert behind him. That’s the experience a hound like Sassoon can offer your pack when the pack really needs it. When things get complicated, they look to a hound like him for that kind of leadership. Another sort of gray fox, outside the Grimes Mill headquarters of the Iroquois Hunt Club. 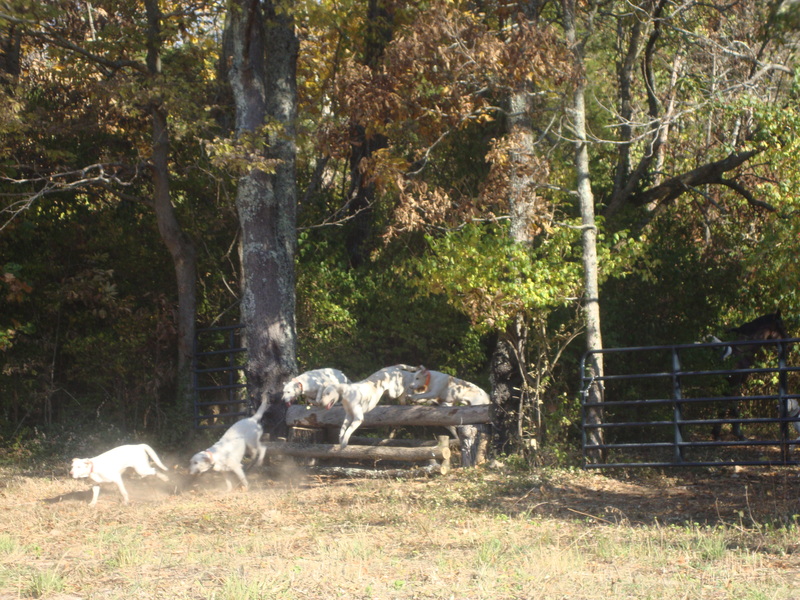 Kennel manager Michael Edwards, who also serves as a road whip on hunt days, was in a good position to see what happened next. Sitting in his truck on the opposite side of the covert from Lilla, Michael spotted what appeared to be not a coyote, but a fox, dashing by. He was too far away to see the quarry in sharp detail, but he could tell even from a distance that it was small for a coyote. 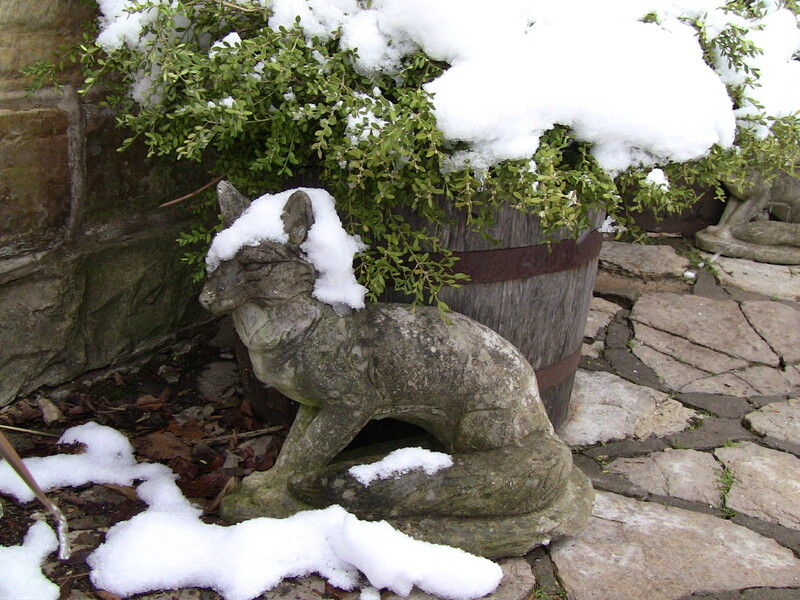 Michael later speculated that it was a gray fox or, possibly, a red fox with a lot of gray in its coat. That’s an intriguing development that seems all the more likely given that two local landowners’ automatic wildlife cameras recently have gotten images of gray foxes. 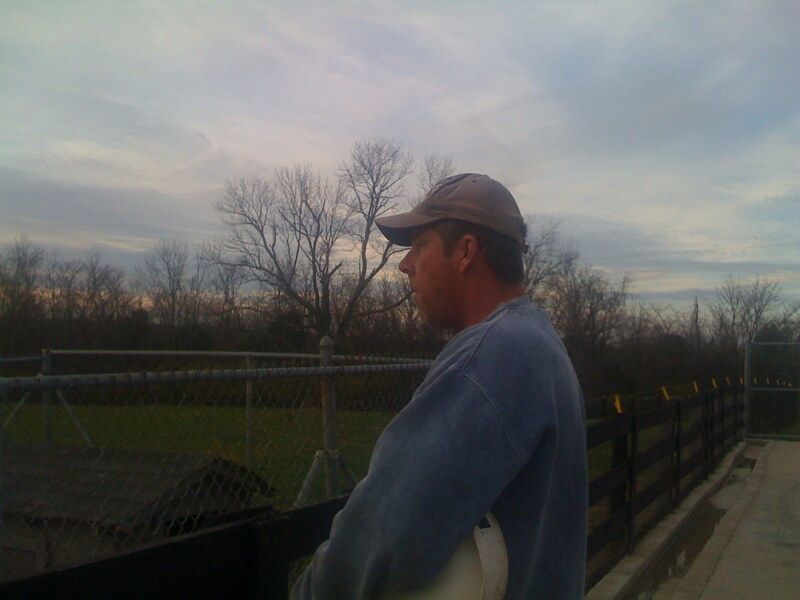 Iroquois Hunt kennel manager Michael Edwards spotted the quarry. The pack flew back to Barker’s, circling around and around in that covert and running between it and the back of Schwartz’s in the small circles that are typically for running foxes. They eventually made a lose in Barker’s. They worked back to Murphy’s Covert and spoke briefly there before making a lose again. At that point, with hounds getting hot in the warmer weather, Lilla called it a day, still pondering the appearance of a possible fox at a time when we rarely see them. The Iroquois field members always welcome a variety of game. 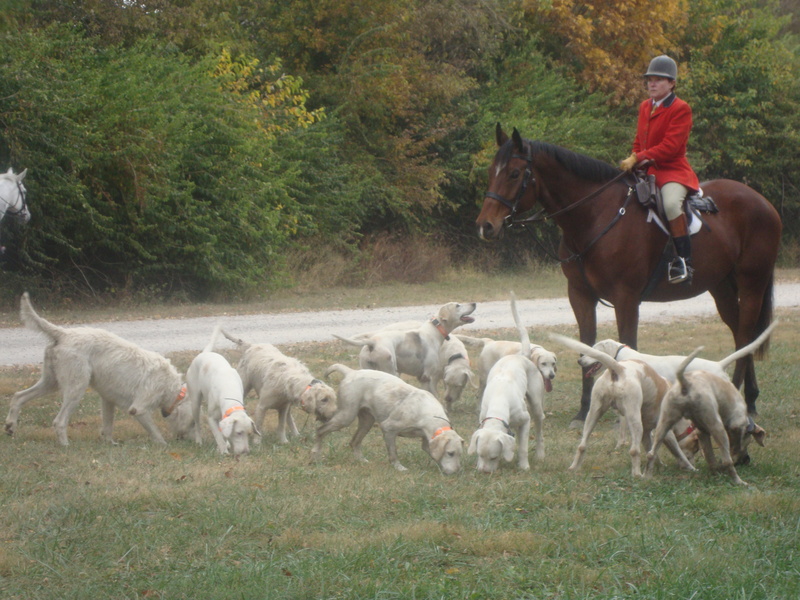 Foxes will add a different spice to a day’s hunting by providing some days when hound work is the feature of the day, instead of the fast galloping sport that coyotes provide. There’s room for both in the Iroquois hunt country, and, while we continue to love the bold moves of hard-driving coyotes, we also hope to the foxes stick around–especially for days like New Year’s Eve, when we’ve been buried under snow and ice for weeks and our horses are no longer at peak fitness! In 2010, there were 99 new posts, growing the total archive of this blog to 164 posts. There were 397 pictures uploaded, taking up a total of 1gb. That’s about 1 pictures per day. The busiest day of the year was July 20th with 404 views. The most popular post that day was Puppies of Two Species. 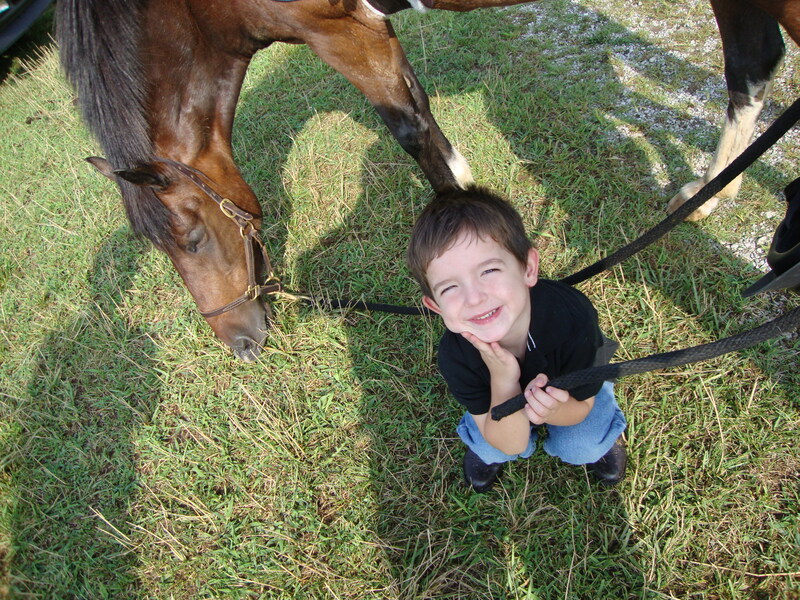 The top referring sites in 2010 were petconnection.com, chronofhorse.com, houndwelfarefund.org, facebook.com, and en.wordpress.com. Some visitors came searching, mostly for full cry, full cry hounds, puppies, hounds, and coyote.